and the CBR1100XX Super Blackbird. I gave up the Blackbird after I snapped off my right biceps tendon, which happened about a year after I snapped off the left one. After ten years of ownership, the Bird was spending more time in the garage than on the road while I was recovering, and somehow I came under the spell of some crazy notion that I was done with motorcycles. and an H3 and have been enjoying the adventure ever since. 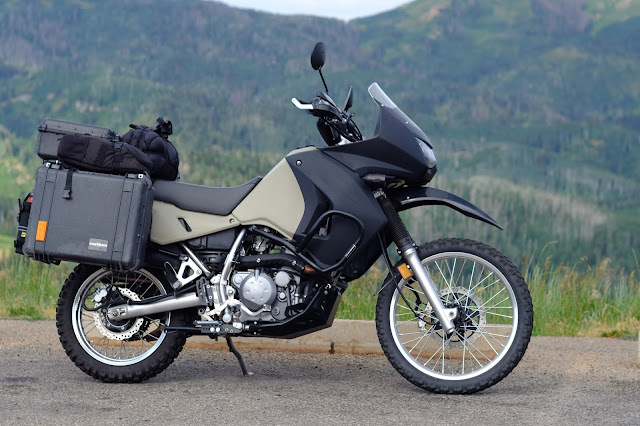 But at 14mpg in the little Hummer, adventuring on my own was overkill and having it as my daily driver was gouging the budget, so about six months ago I started my research on ADVenture motorcycles. Think The Long Way Around.